What do you do when the putts just don’t drop? Get a lesson? Change putters? Well, for Karsten Solheim, neither option was sufficient. Instead, he simply invented his own putter and, without knowing it, launched an international golf powerhouse in the process. It all started back in 1959 in Redwood City, California. Solheim – an engineer at General Electric (who also notably helped develop the world’s first “rabbit ears” antennae for television – was frustrated with his putting (something we can all relate to!) As he couldn’t find a putter that worked for him, he set about crafting his own putters in his garage. A labour of love, this led to his first PING putter – named after the unique sound that the putter made when hitting the ball. Eight years later, in 1967, due to the growing popularity of PING putters, Solheim resigned from his job at GE and focussed fully on PING. He eventually moved the business to the golfing paradise of Phoenix, Arizona, and the rest is history. 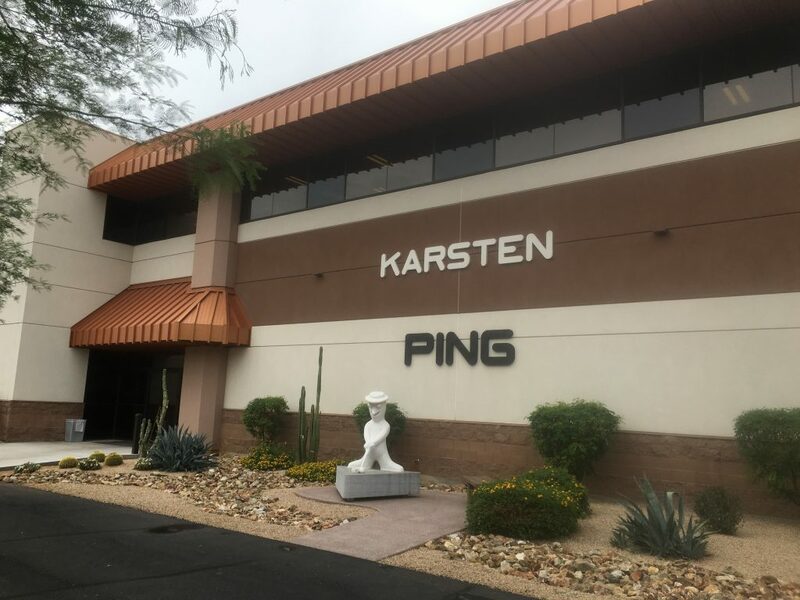 PING now produces clubs in every category, including putters, wedges, irons, woods and drivers, and the business is considered the pioneers in custom clubfitting. 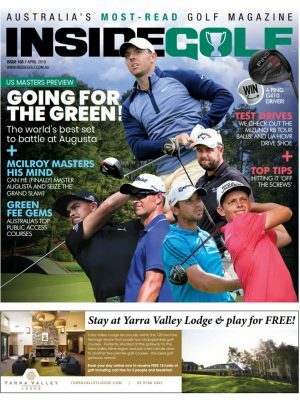 Tour pros including Lee Westwood, Bubba Watson, Louis Oosthuizen, Harris English, Angel Cabrera and our own Nick O’Hern and Aaron Baddeley are all PING staffers, and the results are speaking for themselves, with multiple wins on tour in recent years. 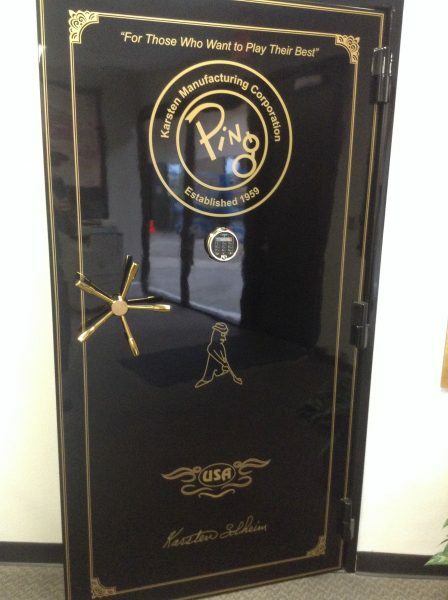 Inside Golf had the pleasure of a behind-the-scenes tour of PING headquarters recently. We were amazed by the sheer size of the facility, and the quality of the products created. The privately-held, family-owned company employs hundreds of employees at their Phoenix facility, which comprises multiple buildings across a mammoth “campus”. Indeed, this place is so big that you need to drive a car from one end of the campus to the other. Following a short video which recaps the origins of PING, my tour began in the manufacturing facility, which is located across a few massive warehouses and is composed of individual assembly stations (or “cells”). Each cell is charged with a single step of the assembly — from engraving the individual serial number, to adjusting the swing weight, to laser-aligning the grip to even painting the unique PING coloured dots on each clubhead. There are around 19 steps for each hand-assembled club, and each station includes a stringent Quality Control process and ‘Chain of Custody’ checklist to be followed before the club is passed on to the next station. Each club/set has an individual set of specifications to which it will be manufactured. This correlates with the original clubfitting performed by the PGA Pro or Clubfitting/Product specialist. Each step of the assembly process is then carefully tracked by computer to ensure that the final product matches the desired specs. It’s mind-boggling, to say the least. Surprisingly, the assembly process combines an intricate mix of leading-edge technology and good old-fashioned elbow grease. In the Loft & Lie station, for example, the clubface is scanned via a high-tech camera and computer that precisely checks the club’s ordered specs. If the club is off by even a fraction of a degree, the operator whacks the clubhead with an extremely low-tech rubber mallet (sometimes, you just can’t improve on simplicity!). 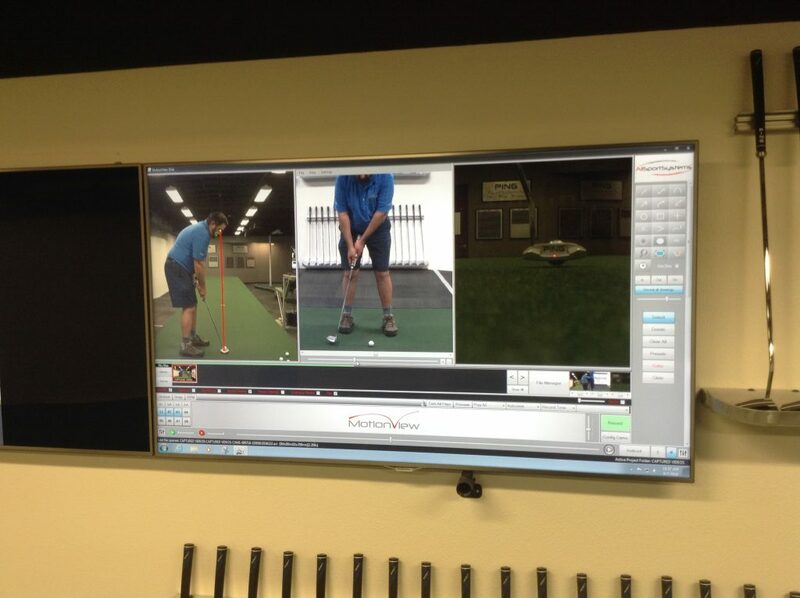 The club then gets re-scanned and the process continues until it is within the exact specs. But the operators are so good that it rarely takes more than one whack to get it just right. It’s almost poetry in motion. The end product is a thing of beauty, with a one-of-a-kind uniqueness to every club. But the manufacturing goes beyond the irons and putters. Drivers and fairway woods are given the same customised treatment, and are tailor-built to each customer’s specifications. 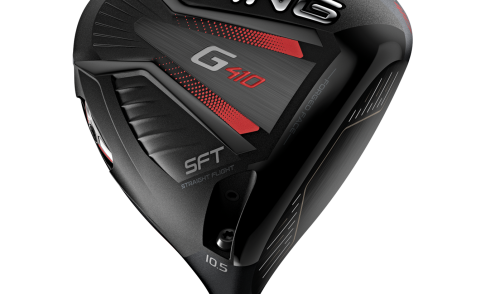 PING believes that a properly fit club—from the start—is the ideal goal, which is a refreshing departure from today’s ‘everything is adjustable technology’ trend. 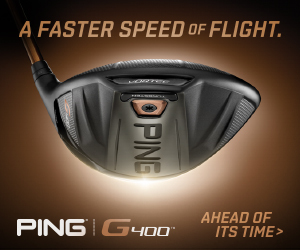 PING’s commitment to quality is evident throughout every step of their process. Even the third-party supplied components (like shafts, etc) are stringently tested and monitored. 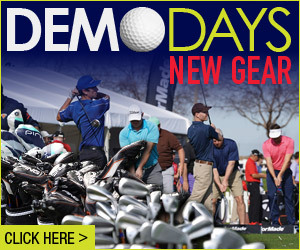 If a single shaft from an entire lot isn’t perfect, they will re-test the entire lot to ensure 100 percent quality. There is even a Junior putter in the vault, Antonio Maldonado’s 30-inch PING Moxie Craz-E. Maldonado evidently was struggling with his putting, so borrowed a putter from his son’s PING junior set. 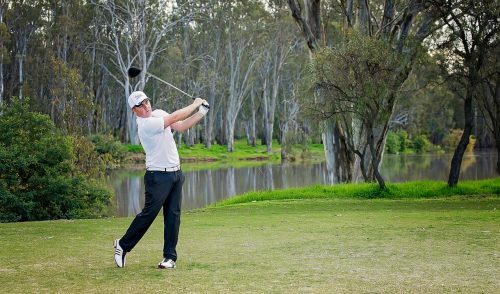 He then went on to win the 2005 Mexico Open… with the junior putter. 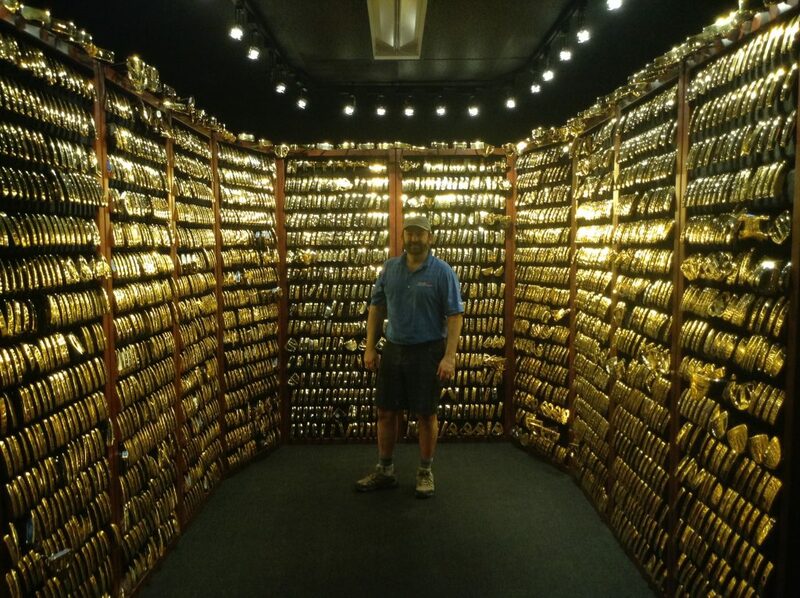 And the vault is not just full of putters. There are a few “iconic” clubs in there as well, including a gold-plated 52-degree PING Tour-W wedge that Bubba Watson used from the pine straw to win the 2012 Masters, as well as Louis Oosthuizen’s PING S56 4-iron which he used (also in 2012) to record the first albatross on No. 2 at Augusta National. And yes, white gloves are required to handle these little gems. With “gold fever” firmly ensconced in our heads, we then moved on to the putter research and test centre. Featuring more computers, cameras and technology than you can shake a flatstick at, this place is THE place to learn about your putting. Players first step onto an elevated platform – which is a massive slab of concrete that is perfectly flat to eliminate all variables and vibrations from the ground. 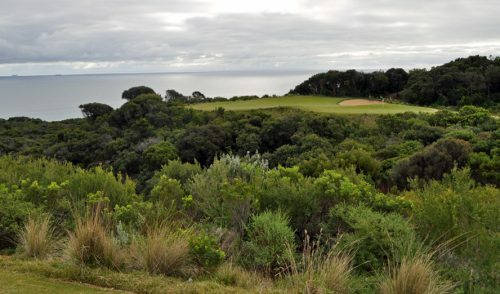 They then take a few putting strokes while an impressive array of cameras and computers record heaps of data – from the swing path to the impact zone to the amount of bounce/skid off the clubface. 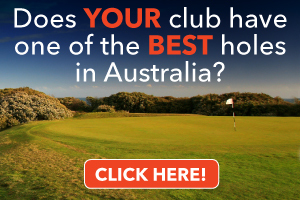 It can even tell you if you are putting with the right type of putter, ball or overall swing. Our tour culminated at the massive driving range and test centre. Though it is one of the longest driving ranges we’ve ever seen (a full city block long), PING was forced to erect a 3-storey net at the back, as big-hitting Bubba Watson was regularly belting balls into the neighbouring bus station across the street (easily 400+ metres away). Fully wired with the latest technology (including PING’s popular nFlight system), the range also features a full grass tee platform on a pallet that can be replaced from player to player. When a player/tester is done hitting balls off the grass, the entire grass pallet is quickly – ready for the next player to have a hit! Next door, we saw the famous PING Man, and Sling Man testing robots. A small part of PING’s massive R&D department, these unique machines are fully programmable to test a club’s (or ball’s) performance across a number of variables and conditions, including swing speed, ambient temperature, relative humidity and more. PING Man testers can, for example, put a single blade of grass between the club and ball in order to test resultant spin rates, distance, etc. Or do spin tests on balls that are wet versus dry. Meanwhile, The SlingMan is essentially a giant cannon that shoots (or slings) a golf ball at up to 260mph, with various launch angles, speeds and spin available. It works like a baseball pitching machine, and is extremely impressive to watch. It’s impossible to highlight all the technology and cool-as-anything elements behind the scenes at PING. But suffice to say, they have achieved a remarkable balance between high-tech/big-business innovation and one-on-one personalised service.